I get letters almost daily from people who want to write a novel. Most of them have started one, and some are close to the end of their book. But once the writing starts, the fears come quickly. We know what we want to say. We know what story we want to share . . . but the words on the page often don’t match. We look at our manuscript and see that it needs so much work! I remember that feeling. I still feel that way at times. No one writes a perfect novel the first time out of the chute. 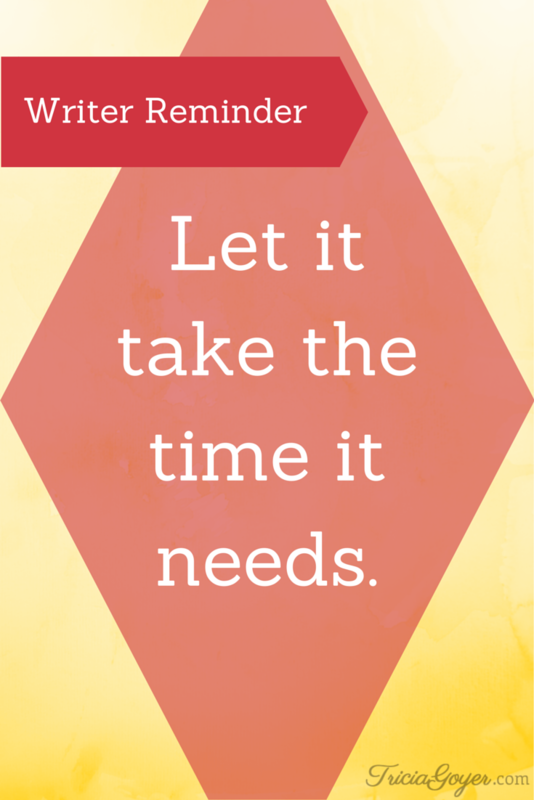 If it takes a year to edit your book, let it take a year. If you need to start over, once you’ve come to the end and know your characters and the situation better, then by golly start over. My first novel took a couple of years to write. 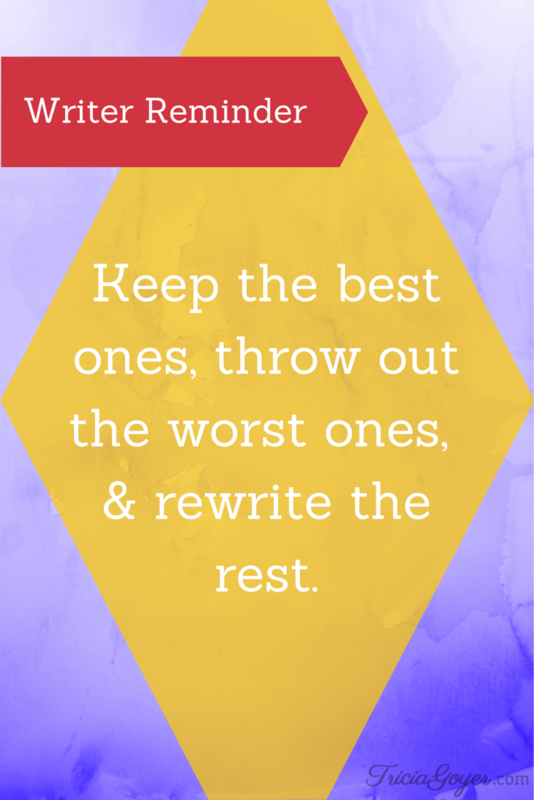 Some authors I know go through complete rewrites after the first draft. I’m friends with a NY Times best-selling author (you would know her name), and she was just told by her editor that she needs to rewrite a large portion her book completely . . . and she rolled up her sleeves and got started! 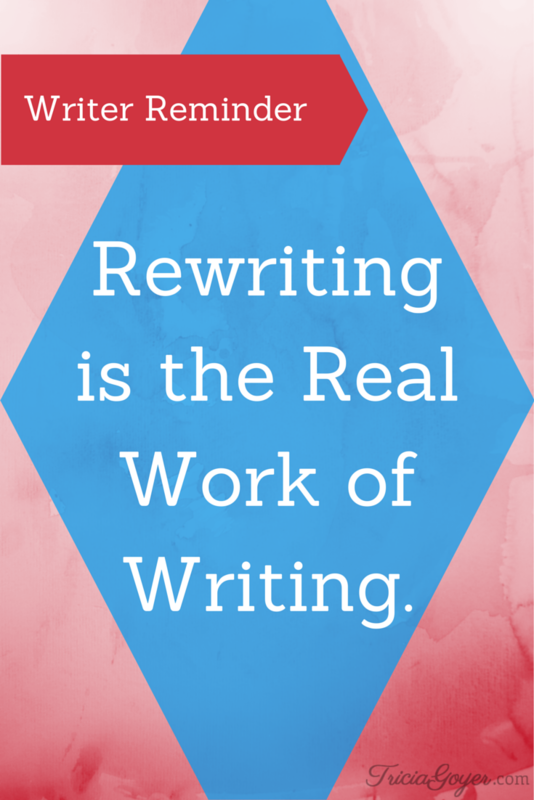 Rewriting is the real work of writing, and we shouldn’t be afraid of that. Of course we need the right information to make sure we rewrite well. We also need the right support group. I highly recommend ACFW if you’re not a part. There is a loop where people ask questions and workshops. 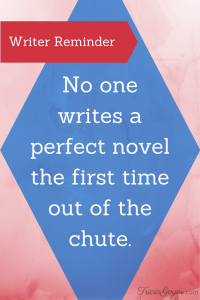 There are also writing contests for unpublished authors so you can “submit” before you “submit”—to get constructive feedback and to see how your manuscript stacks up. Remember this whole process takes time. I started writing in 1994, and my first book came out in 2003. That’s 8 years later. 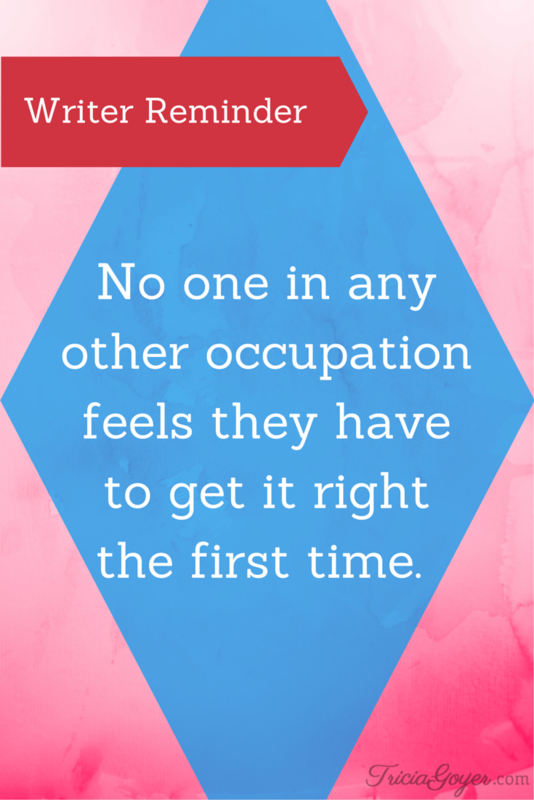 With ANY career, people expect time to grow and learn. Doctors go to school. Teachers go to school and then student-teach. Artists go to art school. Writers must write—lots. 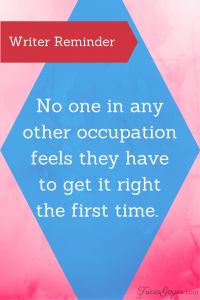 No one in any other occupation feels they have to get it right the first time. Remember that! So, maybe the words on the page aren’t what you hoped for. 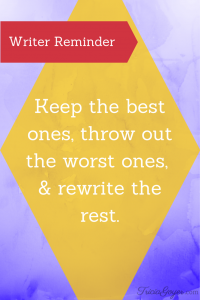 Keep the best ones, throw out the worst ones, and rewrite the rest. It’s great practice, and you’ll never know what you may end up with! God, thank you for giving me the creativity to write. I am so grateful that we are made in your image. Teach me to have patience in the process of creativity. Teach me diligence and dedication.